Emergency Steel Services | Steel Supply, L.P.
Downtime, Outages, or Failures costing you a ton? Many businesses estimate that a single hour of downtime or machine failure can cost over $100,000! We strive to get you the products you need when you need them. Our two Houston locations have extended hours: Monday-Friday 7am-5pm and Saturday 8am-12pm. 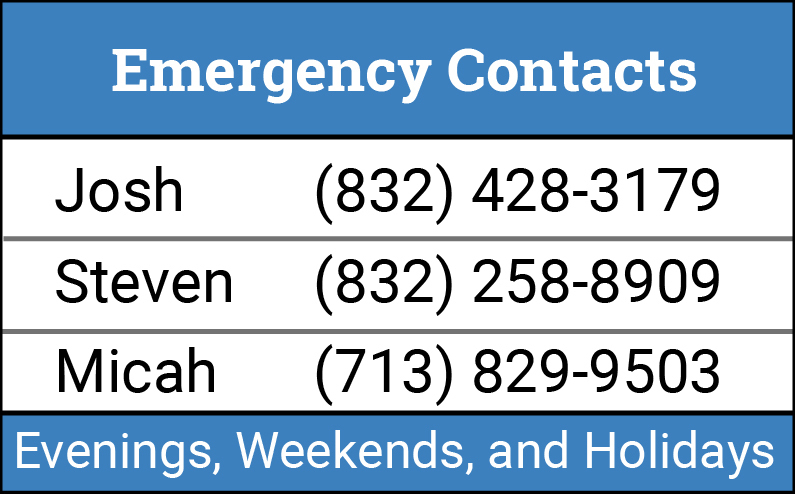 Because we know that things can go wrong at the least convenient time, our emergency service team can get you the products you need in the event of a steel or pipe fittings emergency. We can get you the steel and pipe fittings you might urgently need outside of normal business hours.